Robin currently manages a global internal red team at Sage, which is a fintech company listed in the FTSE 100 having 13,000 employees and hundreds of cloud-hosted services across a variety of cloud service providers. An experienced former CHECK Team Leader / CREST Certified Tester, CREST Registered Intrusion Analyst, PCI QSA and PA-QSA, Robin also spends some of his personal time to co-lead OWASP Newcastle and (ISC)2 North East England security meetups. 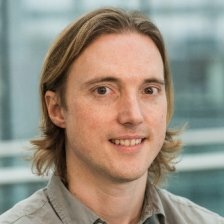 With a strong interest in offensive security testing, Robin is involved with bug bounty programme management, red teaming and penetration testing but also maintains an interest in blue teams having previously worked in the application security team at Sage in an Agile development environment.